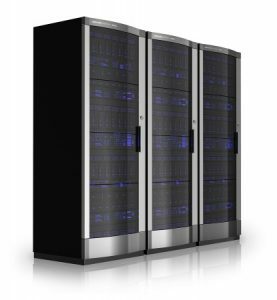 Datacate offers state-of-the-art colocation solutions in two regional US markets. All of our colocation offerings are deployed in high-performance secure facilities that meet or exceed current standards. All locations offer premium features, such as security compliance and an expanded list of on-Net carriers. Whether you need to rack a single server or plan to fill a cage, co-locate your equipment with us and get the confidence and peace of mind you need to focus on growing your business. * features and compliances vary by location, inquire for details. Our network utilizes an all-fiber backbone with N+2 redundancy and seamless BGP failover between primary and backup carriers. Internal network connections via industry-standard CAT6 copper and MMFup to 40Gbps* yield ideal flexibility and scalability. We currently blend two to six carriers in each location, and typically many more providers are on-Net in each facility. *10Gbps and 40Gbps connectivity available in select locations; 1Gbps connectivity available in all locations. Please visit the webpage for a specific location for more information, or inquire. Our experts are here to help you choose the ideal solution for your business.We provide your business dedicated hosting services. Let our team manage your hosting while you run your business. We’ve seen it all and know what to recommend whether you are getting started, looking to scale, or just considering a move. We’ll sit down with you and design a solution that you can be confident with. As industry veterans,we realize that each VPS, cabinet, or circuit represents a real business with unique needs.We are here to be your technology partner and provide you the services your business requires. As your dedicated partner, our goal is to enable your success so that your business may grow and prosper. Get in touch with us today – we are here to help! Let’s get started. Contact us to discuss your project. Use our quote request form to submit your requirements for proposal. We’ll review your request and get back to you promptly.